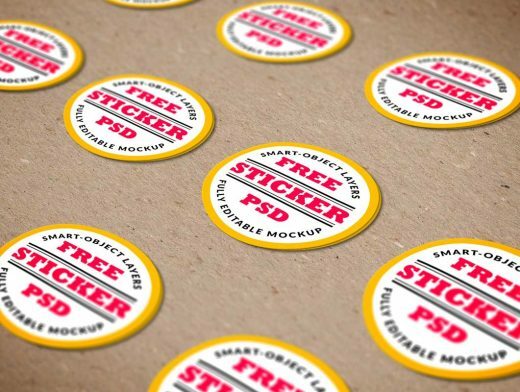 Friends, today’s freebie is a stickers mockup PSD ideal for presenting your sticker design in a very realistic environment with a focus on a particular part. You can use the mockup to present your logo, brand identity, insignia, badge or a graphic in a perspective way. The sticker is easy and flexible to edit with a couple of double-clicks and add your own design. Just download and open the PSD file double click the main smart-object layer and upon opening the .PSB file, double click the ADD STICKER HERE layer and add your design and save. Simple. You can even change the background.